Project Management - Apply the Expertise of Paradigm Solutions! Most business owners have projects that they either need to do or would like to do, but that never get done. 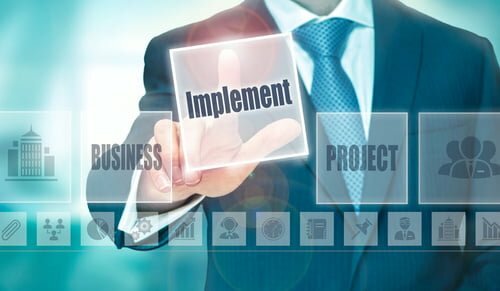 The project may be continually put off for lack of time, lack of personal ability, or because there isn’t anyone involved in the business who is qualified to take it on. In any of these cases, a professional project manager can assess the needs and requirements of the project, and create a plan to get it done. Project management boils down to outsourcing things that you either don’t want to do yourself, can’t do yourself, or don’t have the time to do yourself. We don’t purport to be experts at everything. With a few decades of experience in business consulting, we have formed relationships with all kinds of service providers who we trust. We are experts in evaluating needs, matching them to the right resources, and generating efficient and effective outcomes. To us, managing a project for you is about getting it done the right way in a reasonable timeframe, and on a reasonable budget. When we are consulting for a client, management of a variety of projects is usually involved. However, we are also happy to help businesses out on a single project, or on a project-by-project basis. If you’re ready to get some things done, but you need some help to make it happen, give Paradigm Solutions a call! If you would like more information about Project Management, be sure to CONNECT WITH US!